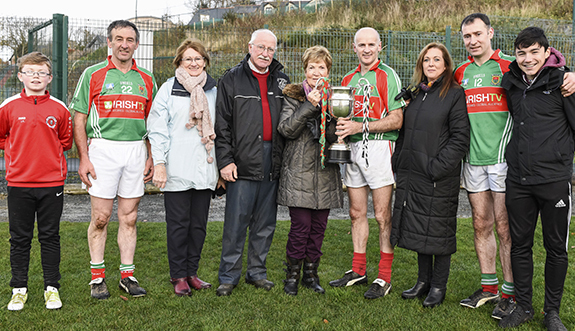 Mayo were the victors against the Sligo Masters in the recently revived tournament for the Brian Ruddy Memorial Trophy played on the Rice College pitch on Saturday. In ideal conditions, both teams served up some entertaining football with Mayo running out comfortable winners at the final whistle. 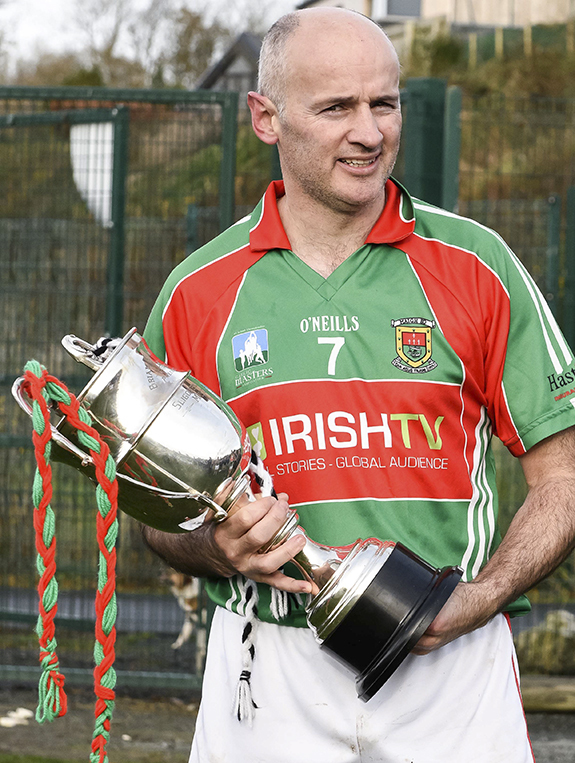 The match provided the perfect opportunity for the Mayo team to sharpen their skills in preparation for the replay of the All-Ireland Masters game against Cavan on December the 3rd, venue yet to be decided. 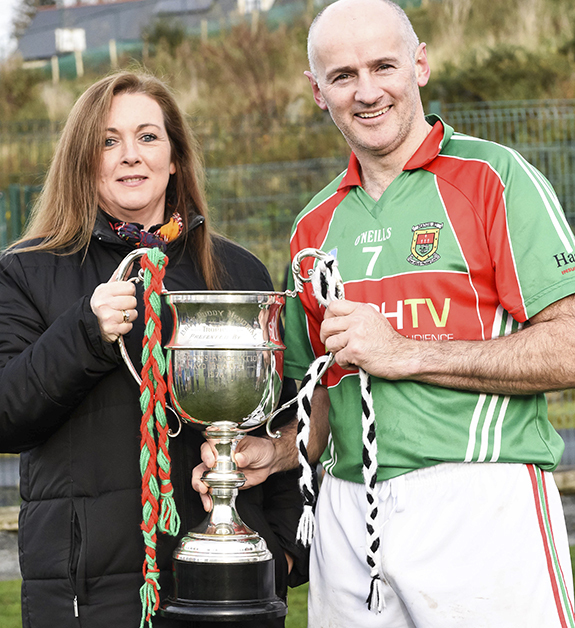 Maria Madden (nee Ruddy) daughter of the late Brian Ruddy, presented the "Brian Ruddy Memorial Trophy" to winning Mayo captain Pat Mulchrone. Also in attendance at the tournament was Kitty King, sister to the late Brian Ruddy. Grateful thanks to Rice College for making the football pitch available at very short notice. They should be justifiably proud of the stable condition of the surface given the recent heavy rain making most other football pitches in the area virtually unplayable. 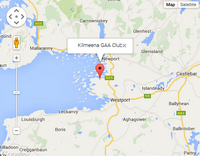 Rocky’s bar, Castlebar, this Thursday, 24th of November at 8:45pm. 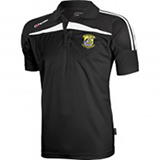 , Plenty of prizes to be won on the night! Kitty King; sister to the late Brian Ruddy with captain Pat Mulchrone. Also in the picture from left: James King, Masters Association Chairman John Pat Sheridan, Mary and Joe Madden, Maria and Darren Madden and Liam Kerrigan.